The 52 Week Savings Challenge - Start Today! Last year I read about a savings challenge where you put away a small amount of money each week and add to it bit by bit based on the week of the year. By the end of the year you’ve saved a chunk of money which you can use for Christmas or towards any other expenses. The basic principle is that you start with a small amount (just $1) and throughout the year you gradually put away more and more so that in the final week you are setting aside $52. Some people do it in reverse if they are likely to have more money available in their budget earlier in the year. At first I was a bit skeptical. I wondered what the point of putting away just $1 was, surely it was a bit of a waste of time. Nevertheless I dutifully put away my money and never even missed it. 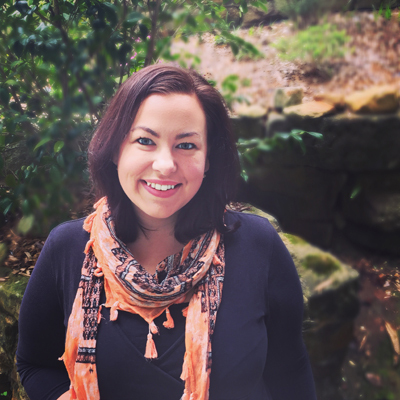 It wasn’t until around week 30 that I actually started to notice it disappearing each week, and it was about weeks 35-40 that I had to start consciously thinking about where the money would come from and how not to overspend in other areas. In reality, by the time it started to dig into my budget I’d already put away over $700! It was so simple and so easy and once I had that cash built up I was even more committed to making it all the way. This year I’ll be doing the challenge again and I’m also planning to do it with my boys. They’ll be putting away the same amount but between the two of them, so half each. They are too little to have their own money so they’ll “earn” it each week from me. At the end of the year we will decide what to do with the money together. Some of it will go towards buying gifts for the wishing tree (a charity for kids who live in poverty), and some will be used for purchasing gifts for friends and family. I’m also hoping we can build up enough for a little family getaway or some special activities that we wouldn’t otherwise do. 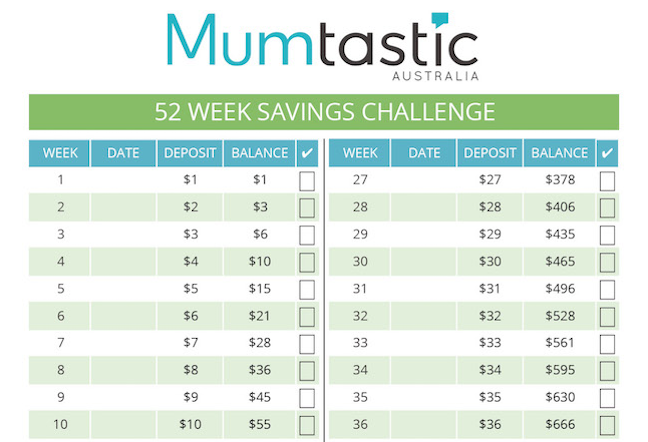 If you’d like to do the 52 week savings challenge too I’ve created a special printable for Mumtastic readers below. 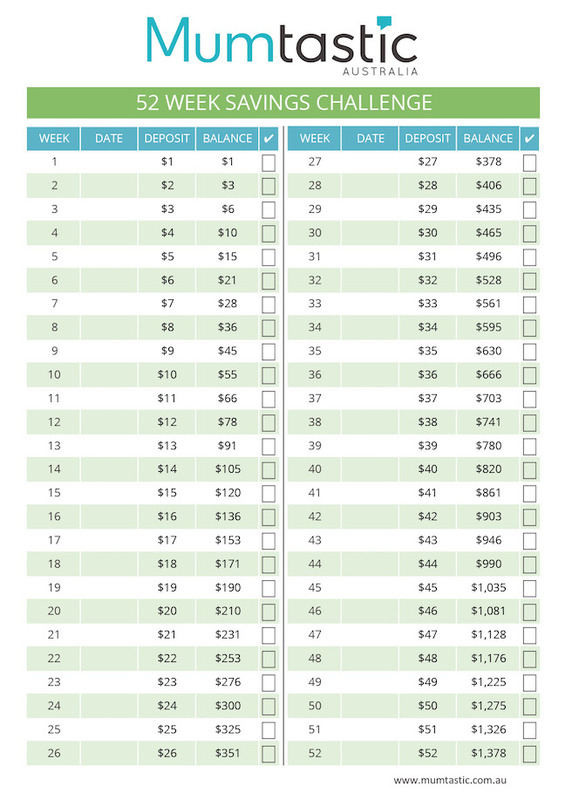 To download the 52 week savings plan printable, click here or on the image below. 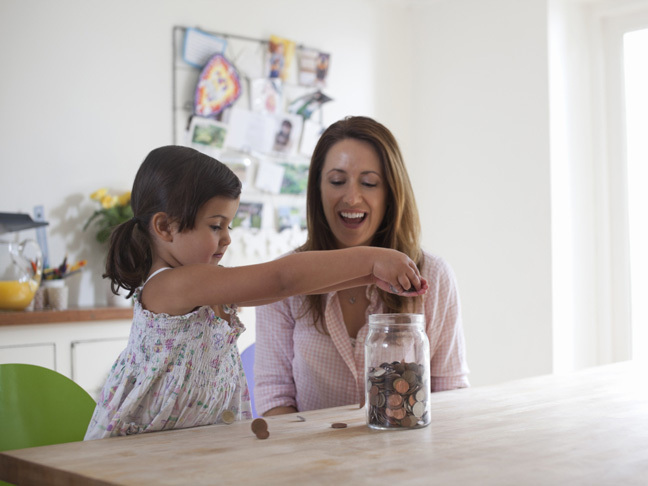 What do you think you’ll spend your savings on?